Giuliano da Sangallo (1445 - 1516) - whose true name was Giuliano Giamberti - was an architect, military engineer and sculptor. He was a very important figure of the Italian Renaissance. He was part of a family of artists and worked for Lorenzo the Magnificent: he was probably his preferred architect. His most famous work for the Medici family is the villa of Poggio a Caiano, but Giuliano also worked in Rome, Northern Italy and France. 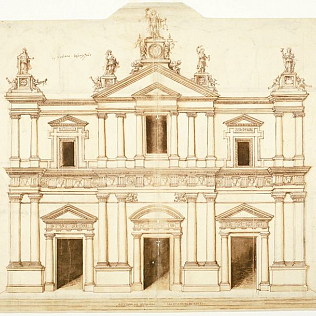 The Department of Drawings and Prints of the Uffizi Gallery is dedicating an exhibition to Giuliano\'s architecture designs. It will be open from May 16th to August 20th. It is an important collection that reveals the work of the architect, but also the techniques that characterized this art in the period between the end of the Quattrocento and the second Renaissance. In addition to the drawings - representing civil and religious architecture, but also works of engineering - a wooden model of Palazzo Strozzi in Florence is exhibited. It is a unique witness to the work of architects of that time.